is a sophisticated employee database solution that helps in human resource management with ease, consistency and accuracy. Featuring powerful and fully integrated reporting tools, our HRMS solution offers you a clear insight into organizational resources, minimizing the time spent by staff on day-to-day administration. Track all the employee information needed by HR for various purposes under many different categories. You can keep a record of a variety of details including Official details, personal details, communication details, experience details , photo and much more. You can create any number of organizational categories like Branch, Department, Designation , Sub-Department, Grade Level, Division, Function ,Cost Center, etc for flexible classification and better reporting. 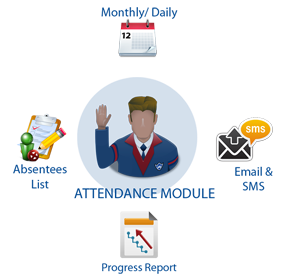 Generate a wide variety of employee letters like Appointment, Confirmation, Promotion etc. in just a few clicks. You no longer need to search for Word docs, update data from Excel files to generate the letters. Letters can either be emailed or accessed through the Employee Self Service. Dynamic employee code creation is one of the most important features of this module wherein the code pattern gets generated automatically based on a combination of alphabets or serial numbers. Employee Search option helps you in quickly browsing critical employee information and in easily locating employees. You can see the data for past and current employees with filters on various categories and employment status. 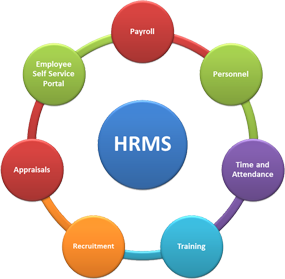 Enhance your leave and attendance process with Savvy HRMS Attendance and Leave module . You can track the efficiency of your staff accurately by automating the maintenance of leave and attendance data. The time consuming task of keeping track of attendance data and answering leave queries is handled by the attendance management module, leaving your HR administration free to focus on other core tasks. Our module offers options to view and compute casual, sick, medical and earned leaves separately offering greater transparency to the employee and simplifying administration procedures. Savvy HRMS has been configured to pick up biometric data, swipe card data from any attendance capturing device directly on real time basis from all locations giving you instant analysis at the head office as to who has come at what time without calling anyone in any location. The attendance month period can be set different than the calendar month to take into account the cutoff provision to be able to give salaries on the 1st of every month. Public holidays can be different for different sets of employees. You can define any number of fixed / flexi and semi flexi shifts in a day by defining the number of hours to be worked in a day and after how many hours the half day starts and whether the timeout can be on the next day. You can define the rosters with type fixed or rotational and map the employees to the rosters so that employees can come in the assigned shifts and punches will capture for the attendance calculations. We also offers punch regularization and On duty requests features that helps companies to track the history and status of employee's attendance using a workflow driven process. It eliminates manual process of application form and allows employees to regularize the attendance in case of travel, training or client visits. Savvy HRMS Leave Module verify your company policies accurately, every time. Our extensive leave policy configurations ensure that the system works exactly as per your requirements. You can create multiple leave schemes for different employee categories in terms of entitlement, quantum of leaves and other policies. You can add different rules like maximum or minimum leaves at a time, encashment rules, back date leave application rule, No of times rule, prefix, suffix and sandwiching rule, advance leave application rule etc. With the automatic leave granting on a monthly, quarterly or annual basis, yet another HR chore gets eliminated. All leave transactions of an employee are tracked and leave balances automatically updated. Eliminate your Leave Cards or Leave Excels completely. Year end need not mean extra work anymore. With easy to use tools, complete the year end processing for lapsing leaves, carry-forward, auto-encashment, etc. Have a tension free transition to the next year. Manage employee payouts other than payroll reimbursements easily by automating official expense claim and reimbursement process. Configure multiple expense heads, define limits and rules for claiming expenses. Multiple expense forms for Team/individual can also be configured. Payment cycles, mode of disbursement (cash/bank transfer) and processing (individual/batch) can also be defined. Credit your employee's accounts in advance for tours either in domestic or international currency. The workflows allows to keep a track of the actual expenses and adjust against advances. Savvy HRMS workflow module offers you to configure the different workflows based on categories of employees as well as for different workflows for different type of requests. Once you configure the workflows it will automatically mapped with employees at the time of request based on employees and request types. All stakeholders are connected via system/action triggered emails. Today organizations are faced with the twin challenges of rising costs and increasing employee expectations. Addressing requests and queries of employees is important to keep them motivated and happy at the same time, this comes with a cost as requests are diverse in nature and need different kinds of responses. By empowering employees to find the information by themselves, or fulfill the requests on their own, and online, at one stroke, organizations can eliminate inefficient, error-prone and time-consuming paper-based processes for managing employee requests. It can also free up precious resources who can now focus on more strategic functions. Employees can initiate a variety of workflows related to leave, reimbursements, expense claims, etc. at their convenience. The online workflow process ensures company policies are automatically enforced at the application stage itself and reduces turnaround time. All stakeholders are connected via system generated emails which helps in reducing transaction time and cost. Online self-service is a great way to create satisfied employees and is hence a good employee branding tool. It is also one step towards an eco-friendly work environment. Managers can login and view information of their team members any time they want without involving HR which is a big time saver for both the manager and the HR department. Managers frequently need to work with several teams and deal with multiple employees. They often do not have a handle on important performance details of their team members. Savvy HRMS Manager Services module offers your managers a way to better track and manages subordinates by recording employee availability, performance and requests at regular intervals. The tool allows managers or supervisors to obtain a comprehensive view of employees through their entire lifecycle. Currently, the workflows offered include managing Leave requests, Punch Regularizations, travel expenses, disciplinary incidents, timesheets and so on. This feature includes, reminder programs, event alerts, event reminder systems, task reminder etc. Now managers can easily be reminded of pending approvals, stakeholders can be reminded of document filings and employees be reminded to submit their details without having to spend time running behind individuals. •	Easily configure events and set reminders based on various rules •	Ease communication process with automated alerts •	Schedule reminders for probation periods, training, birthday/anniversary and company events.